The Education Services industry serves to fulfill the engagement of lifelong learning and the acquiring of new skills through continuing education. From serving youths to adults, the industry includes childcare facilities, K-8 schools, secondary schools, private institutions, colleges, and universities. Schools at every level are looking to lower asset costs, minimize shrinkage in inventory, lower administration costs, and find cost savings in safety compliance. 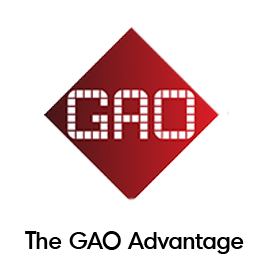 GAO RFID makes this possible through its suite of RFID Solutions that help to monitor materials, tools, capital, assets, and people. As part of the Education industry, your institution shares the many challenges that many others in your industry experience. With the increased use of technology, schools now have a large stock of technological equipment that are used to assist students in learning. Every piece of equipment is an asset, and it is important to protect them from misplacement or theft. In addition, it is important to be able to keep track of what assets have been assigned to each faculty member. Using RFID, valuable assets such as tablets and laptops can be tagged and tracked for real-time locating. At the heart of learning are the resources that facilitate studies. Books, research samples, and even degrees and diplomas can be monitored and managed to ensure security and authenticity. School libraries are adopting RFID to manage the borrowing of Books, DVDs and other media. For laboratories, research faculties use RFID to identify experimental samples. Some universities even employ RFID to validate the qualifications awarded by post-secondary institutions. Tagging learning resources provides up-to-date visibility on where resources are and who is currently in possession of them. If the time-consuming paperwork associated to attendance taking can be reduced, teachers are able to devote more time to teaching. For exam entry or usage of campus facilities, the ability to automatically identify students reduces fraudulent activity, promotes an ethical environment, and lowers administration costs for student services. Using RFID ID cards, students can be automatically identified for multiple purposes on campus to reduce administration costs and ensure accuracy. Safety and efficiency are both high priority concerns when it comes to your teachers and students. In child day care facilities and K-8 or private institutions, ensuring that only authorized personnel and students are allowed access to the premises is a must to promote safety. In secondary schools, colleges, universities, access to zones need to be controlled and granted to only authorized personnel to maintain security on campus. Assigning RFID badges and keyfobs to personnel and students grants access to only the allowable zones, helping to keep schools safe and secure.